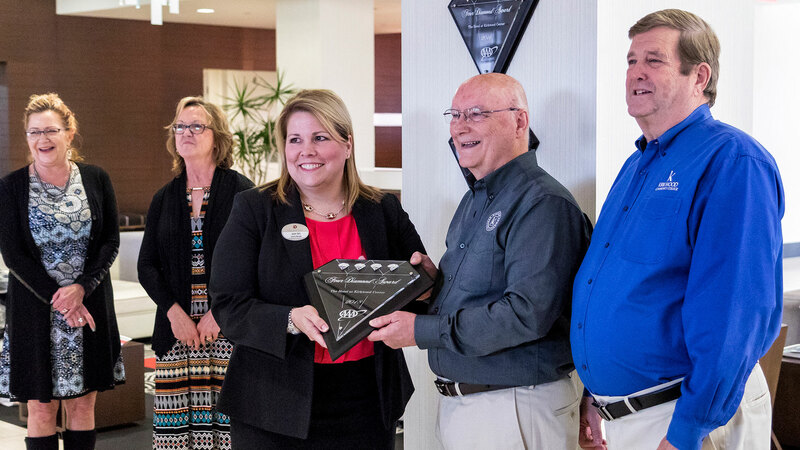 CEDAR RAPIDS, Iowa (April 3, 2018)-For the seventh year in a row, The Hotel at Kirkwood Center earned the American Automobile Association’s (AAA) prestigious Four Diamond Award for lodging. The Hotel is one of only four hotels in Iowa to earn this superior designation for upscale amenities and high quality. According to AAA, a four-diamond rating means the establishment is upscale in all areas. Accommodations are progressively more refined and stylish, and the physical attributes reflect an obvious enhanced level of quality throughout. The fundamental hallmarks at this level include an extensive array of amenities combined with a high degree of hospitality, service and attention to detail. The 71-room hotel opened in 2010 as a way to provide on-the-job experience for students in the Hospitality Arts programs at Kirkwood Community College. For more information about The Hotel, visit www.thehotelatkirkwood.com.